Buying a home in Baxter Village is an investment in a lifestyle. A community that has a top rated school YMCA, York Co. Library, swimming pools, tennis courts & many pocket parks. A place where nature thrives side-by-side with historic architecture in single-family homes, townhomes, shops, stores, restaurants & more. This 3 bed 2 bath Ranch home has new insulated windows new HVAC, Heat & AC in garage, insulated custom garage door, New Tankless Water Heather, Plantation Shutters and that’s not all. Exterior was just painted 2018, All floors are hardwood and tile, Closet inserts have been added, Every room has been graced with decorator's custom colors and finishes; Crown molding throughout, Picture molding in the dining/sitting room, Upgraded lighting throughout. 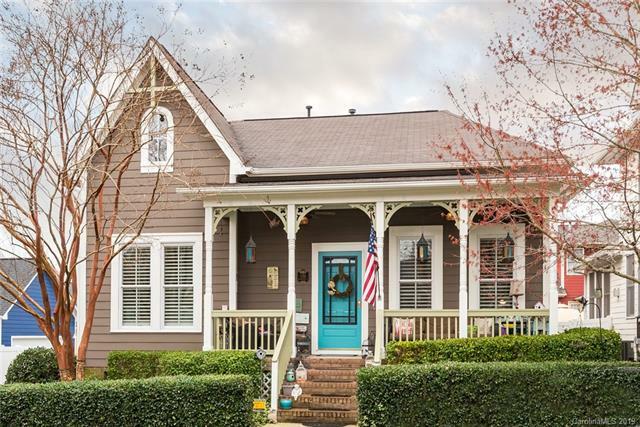 Miles of walking and biking trails access to the Catawba River, playgrounds, year-round festivals including a spring festival a fall festival of Christmas parade and Easter egg hunt and the regions best Patrick’s Day parade. Complete the form below and one of our agents will contact you. Or, if you'd rather, you can reach us via phone at 704-361-7123.